Revenue teams, comprised of everyone from customer success to sales and marketing, are all working toward a common goal — to drive heightened revenue for the business. The biggest challenge? Revenue teams don’t always cross-collaborate in ways that maximize their efforts to achieve that goal. Added to the existing lack of collaboration is the incomplete view of target accounts that revenue teams receive from their technology stack. Today’s technology gives revenue teams a view of which accounts to target, but they still lack an understanding of who to target within those accounts and why they should target them. Companies miss opportunities when they aren’t targeting the right people within an account or using the right touchpoints at the right stage of the purchasing process. By uncovering the “who” and “why” behind accounts, the entire revenue team can prioritize actions and engage buyers, allowing them to close leads faster and more effectively. The unknown behind accounts can be frustrating, especially when it comes to contacting the right people responsible for making purchasing decisions. To make it even more challenging, modern buyers have changed. Wining and dining is not enough — B2B buyers are anonymous, fragmented and resistant. On average, an account has 9.6 people responsible for one B2B purchase, which leaves a lot of questions as to who revenue teams should target at each stage in the buying process. To make those anonymous buyers known, revenue teams can utilize insightful data and, as a result, create a more personalized, targeted relationship from the first point of contact. By learning more about each individual account early in the buying process, revenue teams have the opportunity to compete and win in the age of account-based buying by providing the right message to the right people within a company. Predictive analytics — both profile-based and behavior/intent-based — play a significant role in understanding the “who” behind accounts. When teams have an effective predictive analytics solution, they can see even further into what actions are being taken. For example, these insights can help revenue teams see which accounts are hot and which personas/roles are missing within the CRM; it has the ability to find these missing contacts and send them through CRM and marketing automation tools for sales and marketing to contact; and can see who is and isn’t engaging with outreach efforts. Most revenue generating teams ask themselves “why this account?” But the more important question is “why now?” Prioritizing fragmented data helps revenue teams understand why they should act on a specific account at a specific time. Doing so should help teams identify insights such as articles the target is reading outside your website that compares you with competitors; if and when the CFO consumed your ROI calculator; which targets clicked on which emails; and if buyers are looking at product details and customer case studies. Without predictive analytics, these scenarios become much more difficult — or nearly impossible — to uncover. Seventy-four percent of B2B buyers conduct more than half of their research online prior to getting in touch with a sales representative. Teams must be able to leverage applicable data and meet these decision-makers at their stage in the buyer journey — taking a proactive approach to lead gen without the need for a generic cold call. Marketing can use data to deliver the appropriate message to the right person at the most opportune time, while sales can use the data to figure out which accounts they should prioritize — and why — in order to drive productive activity and engagement. By understanding the “why” behind accounts, both sales and marketing can spend more time targeting fewer accounts. In turn, teams are no longer chasing dead-end leads, and instead, have a higher chance of closing a deal. The number one challenge B2B marketers face is generating high-quality marketing qualified leads (MQLs) and marketing qualified accounts (MQAs). Directing their attention to the “who” and “why” on accounts allows teams to focus on those quality MQLs/MQAs, resulting in a more personalized experience for the buyer and a stronger customer relationship. Take PGi, a global leader in collaboration, for example. Since implementing an ABM solution to focus on API and third-party compatibility, analytics, reporting and continuous training and support, the company has seen monumental growth. After uncovering the “who” and “why” behind accounts, PGi has had a 77% increase in win rates and doubled their average deal size. The future for successful ABM will be the result of more aligned revenue teams. In fact, when aligned and focused on the “who” and “why” behind accounts, teams typically see 40% more opportunities, larger deal sizes, faster deal cycles and better win rates. Meaningful tools and data that offers insight into where a target is in their buyer journey and how to best develop a message that resonates will be essential to the health of businesses in 2019 and beyond. As the Chief Customer Officer at 6sense, Sanjay leads the Customer Success team in ensuring that customers achieve their business objectives. He is a passionate veteran in the Enterprise Software/SaaS space having spent 20+ years driving customer transformation through technology. 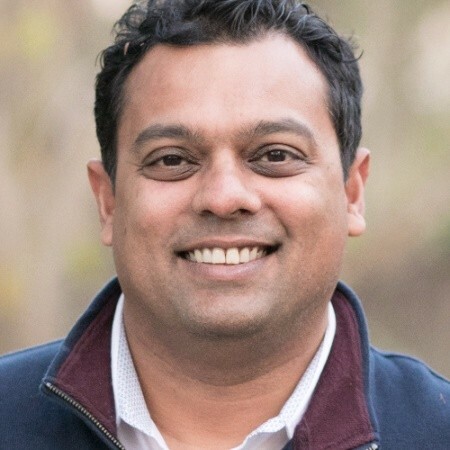 Prior to 6sense, Sanjay spent 10+ years at Responsys/Oracle, where he led the Solutions Consulting team across most of North America and APAC and later led Sales Consulting for the B2C practice within the Oracle Marketing Cloud.